This well-established full-spectrum approach has been demonstrated effective by empirical research and extensive experience. Based on the information from these assessments, our Board Certified Behavior Analysts (BCBAs) will select appropriate interventions and design an individualized treatment plan that works for both your child and your schedule. The ABAS-3 combines all-new norms with updated item content to create the leading adaptive skills assessment. Comprehensive and convenient, this behavior rating scale measures daily living skills—what people actually do, or can do, without assistance from others. This assessment measures your child’s skill level across a variety of benchmarks known to be deficit areas for children with Autism Spectrum Disorders (ASDs). These include response to reinforcement, visual performance, receptive/expressive communication, imitation, social, play and group responding. This assessment may also be used as an interview tool for caregivers. Additionally, our Board Certified Behavior Analysts (BCBAs) may also directly observe your child completing the Assessment of Basic Language and Learning Skills (ABLLS-R) tasks. This assessment is used to develop individualized program goals based on each child’s current functional skill level. Administered annually or biannually, it serves as a benchmark to gauge the progress your child is making in targeted skill areas. 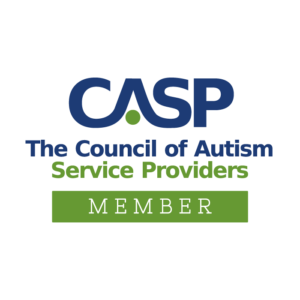 Using the AFLS, you can help individuals with autism or developmental delays become more independent at home, at school, at work, or in the community. Composed of a Guide and six Assessment Protocols, the AFLS is an evaluation tool, skill-tracking system, and instructional blueprint, complete with task analyses and teaching suggestions. This remarkable system assesses 1,900 functional skills in the following areas: Basic Living Skills, Home Skills, Community Participation, School Skills, Vocational Skills, and Independent Living Skills. The ADI-R is a comprehensive interview, which provides a thorough assessment of individuals suspected of having autism or other related disorders. The ADI-R has proven highly useful for formal diagnosis as well as treatment and educational planning. The administration of this instrument with the parent(s) by a trained professional ensures that parents have been a part of the evaluative process. The ADOS-2 is a semi-structured, standardized assessment of communication, social interaction, play, and restricted and repetitive behaviors. This revision improves an instrument already viewed as “the gold standard” for observational assessment of autism spectrum disorder (ASD) and related disorders. The ADOS-2 is used to both measure skill level and provide medical diagnosis. This pre-screening tool helps determine where a language program should begin. Distinct from standardized language assessments, the Basic Language Assessment is designed for children with a limited vocabulary (100 words or less) and covers a variety of early language skills and related areas. This assessment helps us uncover the function or purpose that a challenging behavior serves for your child, including attention, escape/avoidance, etc. 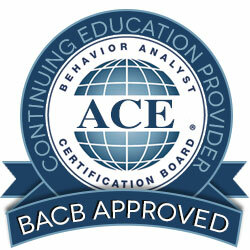 In other words, we help determine why your child is displaying challenging behaviors. Once these behaviors are identified, we can identify replacement behaviors that serve the same function. Gradually, your child will learn that challenging behavior is no longer successful at meeting a goal. We use the preference assessment to identify behavioral reinforcement mechanisms and pinpoint environments where these mechanisms are most powerful. To start, we closely observe your child to identify high preference items and then we prioritize those items by presenting them to your child for selection. We use these items as a means to reinforce positive behavior. As your child’s preferences change, we update the preference assessment. Preference assessments are valuable because they help us form hypotheses about the relationship between behavior and the environment. They also provide information about the function of behavior, help identify reinforcement mechanisms and foster proactive, positive interventions. This assessment offers the convenience of a screener and the power of a diagnostic tool. Completed in just 15 to 20 minutes, the SRS-2 identifies social impairment associated with autism spectrum disorders (ASDs) and quantifies its severity. It’s sensitive enough to detect even subtle symptoms, yet specific enough to differentiate clinical groups, both within the autism spectrum and between ASD and other disorders. And, with an expanded age range, the SRS-2 can be used to monitor symptoms throughout the lifespan. The SSIS Rating Scales enables targeted assessment of individuals and small groups to help evaluate social skills, problem behaviors, and academic competence. Teacher, parent and student forms help provide a comprehensive picture across school, home, and community settings. This assessment is based on Dr. B.F. Skinner’s analysis of verbal behavior and the typical verbal development of children without Autism Spectrum Disorders (ASDs). It measures your child’s performance on several communication, language, and social skills benchmarks and gives an approximate developmental age for each skill. This information is useful in determining individualized goals and objectives. The Verbal Behavior Milestones Assessment and Placement Program (VB-MAPP) also includes a Barriers Assessment that identifies behavioral challenges, and a Transition Assessment that helps the team determine the least restrictive environment for learning to take place. Administered annually or biannually, the VB-MAPP serves as a benchmark to gauge the progress your child is making in targeted skill areas. The leading instrument for supporting the diagnosis of intellectual and developmental disabilities, the Vineland-3 addresses today's special needs populations, such as individuals with intellectual and developmental disabilities, autism spectrum disorder, and ADHD. The Vineland-3 is useful for diagnosis, qualification for special programs, progress reporting, program and treatment planning, and research. This assessment offers both respected semi-structured interview format which focuses discussion and gathers in-depth information, and provides comprehensive reports. Wondering which assessment(s) are right for your child?